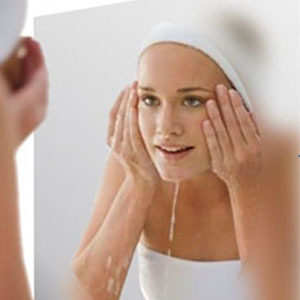 One of the irritations of modern living particularly if you live in the cooler British climate, is the regular steaming up of bathroom mirrors, while attempts to clear moisture just leaves the mirror wet and streaky, ready to mist up again seconds later. However, if you've ever stayed over at a premium hotel you may have noticed the bathroom mirrors always stay clear even after an extra-long shower or bath. The reason being is their use of demisting pads like our Clearview Range. The Clearview Pad gently warms the glass just enough to raise its temperature above that at which condensation wants to form and appear. The surface of the mirror will stay perfectly dry and warm thus denying the chance for the water vapour in the air to condense on the surface, meaning you may have a lovely warm steamy bathroom but you'll always have a clear steam free mirror! Enjoy demisted mirrors like thousands of people already in the UK. Our easy-to-install Clearview Mirror Demister Pads enable you to shave or put on makeup without having to worry about the bathroom mirror steaming up. They are easy to fit simply peel the Clearview pad from its protective sheet, adhere to the back of a mirror. Have your electrician connect the pad to an isolating switch or light switch and fit the mirror to the wall as usual. With their unique design, you will be sure to have heat evenly spread across the surface giving you condensation free mirrors. With over 25 sizes and shapes of demisting pads to choose from, Mirrorworld offer the largest range of easy to fit peel and stick clearview heated mirror pads for that perfect, clear, steam free bathroom look. Economical: The exceptionally low temperature ensures that the running costs are minimal. If left on for an hour a day, an average heating pad will cost between 4 - 5p per week to operate. Easy To Fit: All are pads are self adhesive. Efficient: The equivalent of running a light bulb. Quickly Warms: Once the electricity flows through the heating pad, it takes only 2 to 3 minutes to warm up the surface of the mirror. Safe To Use: Low surface temperature won't burn skin. CE and IP54 approved. Simplicity: No transformers or thermostats are required. Just wire it into the light circuit. Mirrors can be fun and frivolous. Just taking a brief look through our children's and fun section of our website shows mirrors aren't just for practical use but can be stimulating and inspiring too. 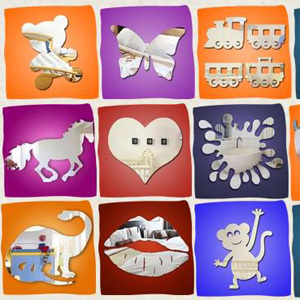 With stars and hearts, animals and dinosaurs, hands and feet, all kind of shapes and designs to choose from. With a selection of super shapes and patterns, ordering from our website couldn't be easier. Why not take a look and see for yourself or try our made to measure service where your ideas and inspiration can truly come to life. Our state of the art laser cutters, can make virtually any shape you require with millimetre accuracy, add to this our in house design service and it not difficult to see why our made to measure service is our speciality. Using top quality 3 mm and 6 mm cast acrylic, our fun and novelty mirrors are a fantastic alternative to real glass with crystal clear reflection, you would be hard pushed to tell them apart. With the soft rounded edges produced with our modern lasers, without the danger of sharp edges all the fun of odd shapes and designs. Having fun with mirrors is interesting and stimulating for our children and even the big kids in us. Take a look today, you'll be amazed at the choice and range. There aren't many items you could add to your home that would have quite the same impact as a mirror and the bigger the mirror, the greater the impact! 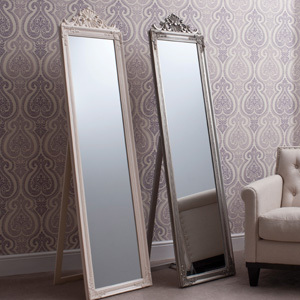 With a wide variety of products available to suit the whole range of interior design styles, it's never been easier to transform your living space with an oversized mirror. One of the great advantages of adding any reflective surface is the effect it has on the amount of light in your home; when that surface is a mirror, you are guaranteed the maximum amount of light capture. You can brighten dark rooms or parts of rooms, such as alcoves or corners, by allowing the mirror or mirrors to catch every ray from any light sources, such as lamps or daylight from nearby windows, opening up and illuminating the space. Not only can your home benefit from the reflection of light, but you can also place attractive feature items in such a position as to show off their every angle via your mirrors. When you have beautiful possessions, you want to give them the maximum amount of exposure, and a large mirror can do just that! A sense of space - With careful positioning, an oversized mirror can give the impression that your rooms are considerably larger than they actually are. A large mirror on the wall opposite a window reflects not only the room, but can also catch some of the outside world, allowing you to enjoy a beautiful view from a different vantage point. By choosing an appropriate frame, you can either echo the window or contrast with it, to great effect. Styles - There are many styles of frame available, in a number of materials, including classic wooden frames, plaster rococo and stylish metal Art Deco models. Colours can be chosen to contrast with or complement an existing colour scheme or you can simply choose a neutral colour, to allow for any future changes of mind. 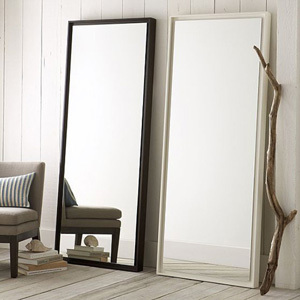 At very little cost, comparatively speaking, you can use a large mirror to give your home a new lease of life. It's easy to install, has an immediate effect and, of course, is a very practical addition to the home. Have a look at the wall space in your home today and just imagine the possibilities. You may not think that a Manchester based company can bring you the style and elegance of a French boudoir, but with our specialist range of 'Cheval' Mirrors think again. Cheval (she*vall), n. derived from French for horse; used in the sense of a support or frame. Historically, Cheval relates to the frame, usually one that pivots, on which the mirror sits. Chevals should be tall enough to reflect a person from head to toe and often are capable of being tilted back and forth. Mirrorworld’s stock of Chevals covers rectangular and oval mirrors in a variety of styles and finishes to suit the décor of your home. Choose a contemporary glass design and add a little more sparkle and a touch of chic. or choose from our regency style ovals to ad character to your room. We’ve even got some cylindrical ‘lipstick’ mirrors to bring that New York loft/Pop Art look to your flat or apartment, perfect for an about town teen with an eye for fashion. All our mirrors are at least 1.5m tall to give a full view of your appearance and come in a variety of finishes to give a little more flexibility when it comes to finding the right piece. All have free delivery, some with our own vehicle and staff for those that are more cumbersome to pack and safely transport, which simply means that the advertised price is final, no hidden extras. A Cheval provides an elegant piece of furniture whilst fulfilling a simple but necessary function. In keeping with the origin of its name; ‘de rigueur, n’est-ce pas’.